This is why I love America. 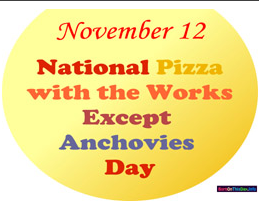 A country that celebrates pizza is a good thing. For a previous post on pizza (yes there was another pizza post), read this. Happy Pizza!